Several years ago, we had a small group of children who were given the title of ‘Healthy Heroes’. Their role was to support the Healthy Schools Leader to promote health and well being in the school. In September 2016, we reinstated the Healthy Heroes and asked five Year 4 children to take on the role. Meet our newly appointed Healthy Heroes. Once a term, the Healthy Heroes help to lead a whole school assembly to raise the awareness of a topic linked to Healthy Schools. Congratulations to the Healthy Heroes for their work, we have been awarded this digital badge to use. Parliament's Education Service ran the Speaker's School Council Awards on behalf of the Speaker of the House of Commons. We completed the application form including details of the projects we had taken part in within school. During the summer holiday, Mrs McCormack received an email from The Speaker's School Council Awards Team thanking us for our application and congratulating us for our work. Below is the email we received. Thank you very much for submitting your school project to the Speaker’s School Council Awards 2017. 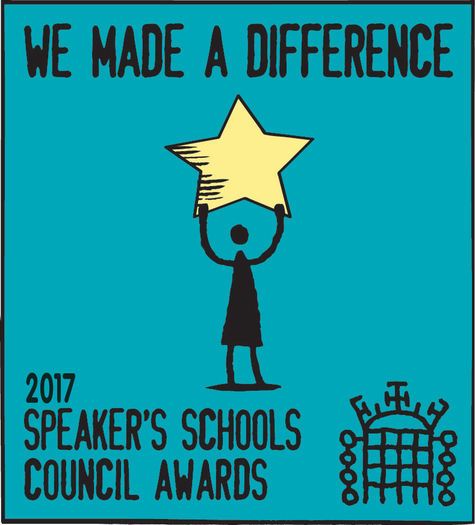 This year’s Speaker’s School Council Awards has been incredibly successful with the Speaker receiving hundreds of applications! The SSCA team were thrilled to see such a huge number of school councils involved in such inspiring and worthwhile activities and, in particular, were incredibly impressed by the commitment and passion with which the school councillors dedicated themselves to their amazing projects. There was a consistently high standard of applications this year making the judges’ decision very difficult. Unfortunately, on this occasion, your entry has not been selected as one of this year’s winners. 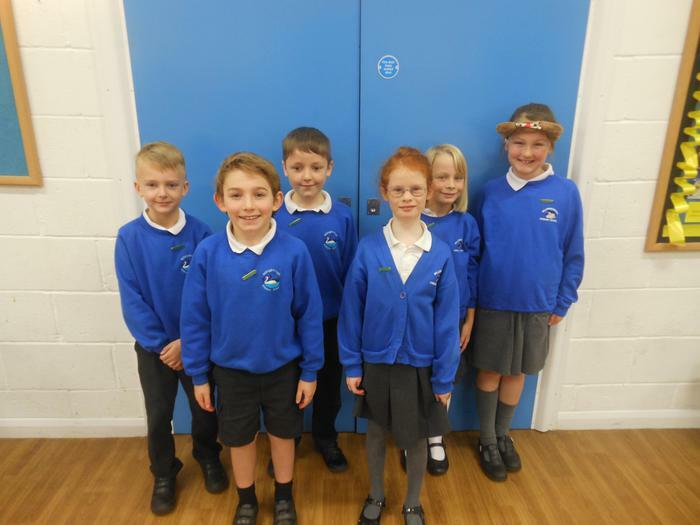 We would really like to thank you and your school council for taking part in the competition and taking the time to tell us about all the hard work that has gone into making your project great. On behalf of the Speaker of the House of Commons, the Rt. Hon John Bercow and the Speaker’s School Council Awards team we would once more like to thank you and your school councillors for participating in this year’s awards. We wish you every success with your future projects and look forward to hearing about them in next year’s competition. Do check back on our website- www.speakersschoolcouncil.org regularly for blogs and resources to help prepare for next year’s entry. The Healthy Heroes have helped Mrs McCormack and Ms Gardner choose some new furniture for the club room including new activity tables, chairs, a dining room table, a computer workstation, a storage unit for coats, lunchboxes and book bags and a storage unit for games and toys. The Healthy Heroes have also researched the toys and games our children like to play with in Before and After School Club. They have produced a ‘wish list’ and have shared this with Mrs McCormack and Mrs Coyle. Watch this space to see our new toys, games and equipment. Our Healthy Heroes have interviewed some children from all year groups throughout school to find out their views and opinions about the meals provided by our new Hot Meals provider. · What is your favourite meal and why? · Which meals do you not like and why? · Are there any other meals you would like to see on the menu? The Healthy Heroes are in the planning stage of a new initiative due to start next term encouraging children to make healthy lifestyle choices. Each child will have their own WOW card encouraging them to collect 20 stamps to earn themselves a special foot badge. Every day the children walk to school or use Park and Stride, they will receive a stamp on their card. For those children who have to travel to school by car, they will be encouraged to walk a number of laps around the playground or field during their playtime. The Healthy Heroes led a whole school assembly about potatoes and where they come from. They explained how to prepare the seed potatoes by chitting them and then supported two children from each class to plant the potatoes. Our six classes now have the responsibility to look after the potato plants in preparation for harvesting. We will then weigh the potatoes. The Healthy Heroes will also discover which class has grown the smallest potato too.